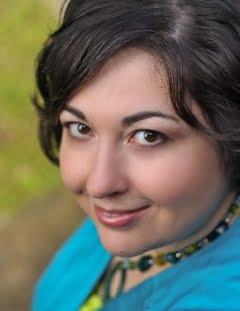 Today I have author Stephanie Dray here to talk about her novel Lily of the Nile and Cleopatra Selene. I asked Dray to talk about her novel in the context of other books about Cleopatra, and this is what she came up with. But first, a brief summary of the book (click here to check out my review). To Isis worshippers, Princess Selene and her twin brother Helios embody the divine celestial pair who will bring about a Golden Age. But when Selene's parents are vanquished by Rome, her auspicious birth becomes a curse. Trapped in an empire that reviles her heritage and suspects her faith, the young messianic princess struggles for survival in a Roman court of intrigue. She can't hide the hieroglyphics that carve themselves into her hands, nor can she stop the emperor from using her powers for his own ends. But faced with a new and ruthless Caesar who is obsessed with having a Cleopatra of his very own, Selene is determined to resurrect her mother's dreams. Can she succeed where her mother failed? And what will it cost her in a political game where the only rule is win-or die? Thanks for having me as a guest here today. I was asked to write about one of my favorite subjects: books about Cleopatra’s daughter. Cleopatra Selene was the sole survivor of the Ptolemaic dynasty that ruled Egypt for almost three hundred years. Taken prisoner after her parents committed suicide, she was only eleven years old when she was marched as a chained captive through the streets of Rome. That she survived these horrors to become one of the greatest queens in the empire is a story that should inspire everyone, but Cleopatra Selene is virtually unknown. Perhaps this is because she is entirely overshadowed by her more famous mother, but with a spate of books coming out about this most intriguing Egyptian princess, perhaps Selene will have her day in the sun. The latest book about Cleopatra Selene is my own debut novel, entitled Lily of the Nile (Berkley Books, January 2011); I’m delighted to have the chance to compare and contrast the books that came before mine. Selene is mentioned only briefly by the ancient historians. The first biography of her life appears to have been written by Beatrice Chanler in 1934. Chanler’ s book might be seen by academics as altogether too speculative for a biography--it supposes motives and often jumps into the heads of others like a benign omniscient narrator. For a commercial fiction writer, however, it is immediately recognizable as historical fiction. I was powerfully influenced both by Chanler’s lofty prose and her theory that Selene was a religious figure for Isis worshippers. Her book has long-since been out of print and it’s quite difficult to come by a copy of it; my own is one of my most treasured possessions because it moved me so. In fact, one of the motivations for my own work was to update Chanler’s ideas and make them more accessible for modern readers. In 1971, Alice Curtis Desmond wrote a book entitled Cleopatra’s Children which covers both the end of Cleopatra’s life and the fate of her children, including Cleopatra Selene. This book is more firmly in the tradition of historical fiction and takes a number of creative liberties. For example, like me, Desmond imagined Selene being directly involved in her mother’s suicide. Though many of its theories have been disproved and it’s an old book, I would recommend it for young readers because of its direct, simple style. Nine years later, Andrea Ashton would write Cleopatra’s Daughter, a romantic epic of Selene’s life, totally in keeping with the tradition of Bertrice Small. The book is filled with melodramatic flourishes, but she’s the first of the authors to approach Selene’s life with any concern for the Berber peoples over which Selene would rule as Queen of Mauretania. Though there’s no evidence that Selene and her husband Juba II ever set foot in Numidia, and recent scholars suggest they did not, Ashton threads genuine concerns about native populations and imperialism through her romance. Oh, sure, she gives us a spunky cheetah-keeping, chariot-driving heroine who has constant misunderstandings with her husband before they can find their happy ending. But she also sketches out some of the genuine difficulties a modern audience might have about a grown man marrying a fifteen year old girl and explores the psychology of exiled royalty like Selene and Juba with remarkable sensitivity. ut this most intriguing Egyptian princess, perhaps Selene will have her day in the sun. Most recently, Cleopatra Selene was memorialized by the acclaimed historical fiction writer, Michelle Moran. Moran’s book explores the famous people, trials, customs and architecture of Rome in the Augustan Age. She takes the liberty of imagining Selene as an architect and inventing an anti-slavery activist known as the Red Eagle to represent slave revolts of the age. 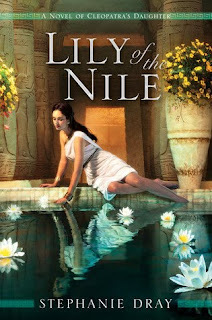 Lily of the Nile differs from Michelle Moran’s wonderful novel in emphasis and style. While we both attempt to recreate the traumas of Selene’s childhood and her triumphs over them, I chose to explicitly adopt Beatrice Chanler’s idea of Selene as a messianic figure; this story is written in the tradition of Marion Zimmer Bradley’s Mists of Avalon, but with a more ancient setting. For example, because magic was real for the Romans and the ancient Egyptians, magic is real for Selene too, and her goddess speaks to her through bloody hieroglyphs that carve themselves into her hands. I portray Selene as the heir to her mother’s charm, the worthy adversary that Augustus wants. Whereas Michelle Moran applied an archaeological lens to her book, I wanted to focus on the significance of the Augustan Age in the progress of women’s equality and spirituality. Thanks so much for stopping by, Stephanie! Stephanie Dray is the author of a forthcoming trilogy of historical fiction novels set in the Augustan Age, starting with Lily of the Nile: A Novel of Cleopatra's Daughter. Before she wrote novels, Stephanie was a lawyer, a game designer, and a teacher. Now she uses the transformative power of magic realism to illuminate the stories of women in history and inspire the young women of today. She remains fascinated by all things Roman or Egyptian and has–to the consternation of her devoted husband–collected a house full of cats and ancient artifacts. 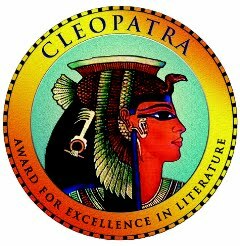 She is currently sponsoring the Cleopatra Literary Contest for Young Women, the deadline for which is March 1, 2011, but join her newsletter now for updates and a chance to win a free copy of Lily of the Nile and additional prizes. I actually had no idea that Cleopatra had a daughter. This is an awesome subject for a YA book! I really want to get my hands on Lily of the Nile now! Great guest post! I love this time period in history... how could one not! Definitely excited to read the different aspects between your book and Michelle Morans.